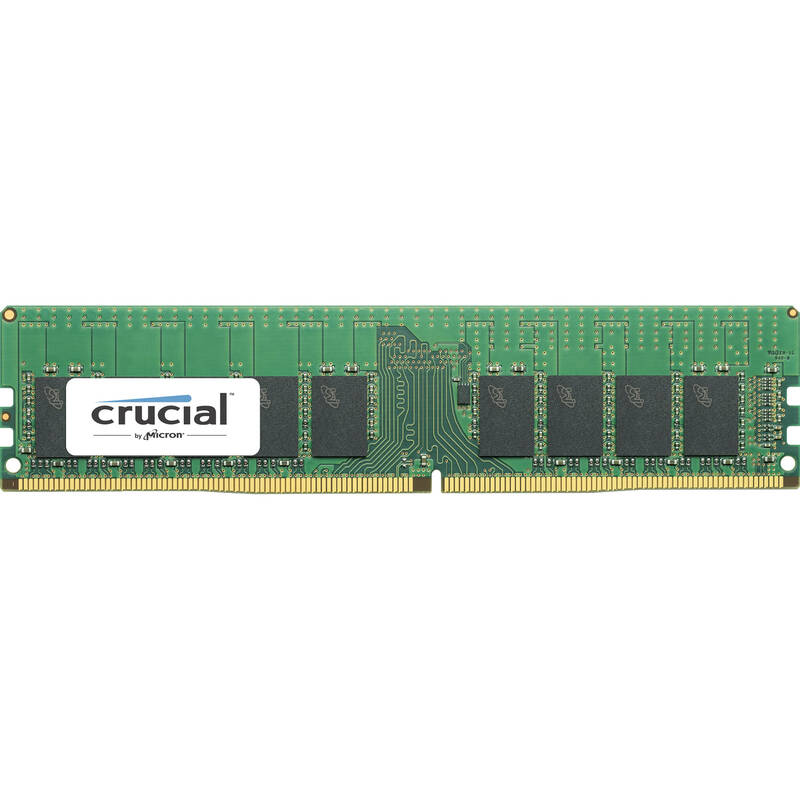 The 16GB DDR4 2400 MHz RDIMM Memory Module from Crucial provides an additional 16GB of registered memory for your server. This 288-pin memory module is designed to run at a 2400 MHz frequency (PC4-19200) with a CAS latency of 17. When compared to DDR3, DDR4 memory processes data faster while requiring only 1.2V of power. By offering Error Checking and Correcting (ECC) technology, this RAM will help your workstation encounter fewer errors that can corrupt data sets and introduce system issues. This registered memory module places fewer electrical loads on the memory controller and allows systems to remain stable with more memory modules than they would have otherwise. Moreover, Crucial has outfitted the dual-ranked memory module with x8-based chips. 16GB DDR4 2400 MHz RDIMM Memory Module is rated 5.0 out of 5 by 1. Rated 5 out of 5 by RICHARD from Serves the purpose Worked well as an upgrade to HP Z440 Workstation. Packing was nice and professional.